Shawn is one of the top speakers for American Society of Safety Engineers (ASSE) and recently received an award and honor by the ASSE Council on Practices & Standards for his significant contributions. National Safety Council calls him a "Global safety excellence expert" and a "Top-rated speaker" and listed him in the Top 40 Rising Stars of Safety. EHS Today magazine listed him in The 50 People Who Most Influenced EHS and ISHN magazine listed him in the POWER 101 - Leaders of the EHS World and again in the elite list of Up and Coming Thought Leaders. As one of the most prolific contributors in the safety industry, Shawn has authored over 400 podcasts, 200 articles and 100 videos on the subject of safety excellence in culture and performance and is the host of the highly acclaimed weekly podcast series, Safety Culture Excellence®. Contact us for Shawn's available dates, customized topics, speaker fees or help with planning your event. You may also visit Shawn's author profile on Amazon for more information. Keynote speeches shouldn't just be motivational, they should leave the audience with tools not just inspiration to recognize the improvement they are seeking. My Safety or Yours, I'd Rather Not Rely on Luck! Whether we realize it or not, every day we put ourselves in situations that could go horribly wrong. We all take calculated risks; some of us are just better calculators than others. At work and home, we end each day without an injury and consider it a safe day. How wrong we are. There are two ways to not get injured: consciously take the right precautions, or get lucky. For safety to truly become infused into company decisions, behavior and culture, it cannot be delegated nor managed by a corporate entity. Safety is not the sole responsibility of the employer; it is everyone's responsibility. Yes, that means you, too! If you disagree, I have some stories for you. Significant-event stories are shared in this heartwarming talk that not only inspire and motivate the audience, but also provide the thinking necessary to change behavior and increase personal accountability. Much has been written about the need for safety to be integrated into business thinking for safety to become the way of business and a core value rather than priority. Not enough attention is placed on the need for business practices to be integrated into safety thinking. Safety is not simple. It is more than rule-following, common-sense and paying attention. Safety is influenced by culture, systems, leadership styles, history, economy, locations, etc. One of the most significant differentiators of successful organizations in safety is the way safety is strategically managed. For excellence in any operational category to be recognized, it is imperative employees make decisions and behave in alignment with the intended strategic direction. Safety is not a standalone strategy within a business; it must be an integral part of the overall operational plan. How clear is your strategic direction and how well can employees easily see the role safety plays within it? Without strategy, is the recognition of new safety results more than luck? Is the inability to improve because of the intervention or other influences? Everyone wants excellence in safety performance and safety culture, yet often forgets excellence is not just about results. Rather, it is the confidence and ability to articulate why great results were achieved and the knowledge of how to repeat and advance year after year. Cultures can be leveraged to obtain significant results, but only if there is a clear understanding of the starting point, the destination, and the overall executable strategy. Leadership must realize they are not only responsible for the culture of the organization, but also how it is managed, to drive breakthrough performance. Culture can be a barrier or an opportunity. How you look at it isn't necessarily the answer; how you manage it is. A leader's ability to inspire and influence will become his or her single most effective, competitive advantage. Once higher levels are reached in an organization, individuals are less judged by what they have personally contributed, and more by what they have led others to accomplish. Do employees perform excellently because you inspire them to, or because they are fearful? Do you have a have-to or a want-to culture? Sustainable excellence develops from a motivated and inspired workforce; it is not the result of behavioral manipulation or managed delegation. "At The Great Conversation, a forum for risk, resilience and security leaders, we like to find subject matter experts in professional disciplines that can contribute their voice to helping create a more valuable ecosystem. We don't source 'great speakers', we source great minds. With Shawn, we were able to get a great speaker, a great mind and someone who deeply cares about creating an excellence culture whether it is safety, security or any other culture. He help bridge the leadership gap that drives engagement with your stakeholders. He exudes trust and care. And he help create a great conversation." "The collaboration with ProAct Safety enabled BIC Stationery plants to go further in its prevention approach. Having our plants managers attend a workshop on Safety Excellence Strategy really changed their mindset and opened the door to new horizons. All the methodology and material supplied by ProAct Safety is very pragmatic and result oriented. You know you are not losing your time. Furthermore, Shawn Galloway is a fantastic speaker, capable of catching the attention of all as well as adapting its speech in difficult situations." "Terrific. Shawn did a fantastic job of kicking off our iP Safety Conference and Expo with his keynote. He provided valuable insight on understanding why you are getting the results you are and how to formulate effective strategies around safety. I highly recommend his books and him as a speaker." "I wanted to express my sincere appreciation for a job well done at our National Safety & Claims Forum. Shawn did an amazing job reaching our very diverse audience. Shawn delivered an excellent presentation. He was energetic, engaging and inspiring. His ideas and perspectives ensured take-aways for all! Shawn set the tone for a great conference. I would highly recommend Shawn for an engaging keynote address!" "Shawn spoke to our women's group about goal setting and it was absolutely inspiring. His presentation was relevant, personal, and relatable. The information and tips not only applied to our professional goals but also our personal goals. Every point he made resonated with everyone in the group and our discussions continued after he finished. We can't thank Shawn enough for his engaging stories and thought-provoking takeaways! " " We brought Shawn in to lead a discussion with our NA EHS team to find new, creative ways to further shift our safety culture. I have had nothing but positive feedback from the discussion; he challenged our current thought process regarding our perception of continuous improvement within safety which compelled us to change our focus. The entire group was invigorated and ready to start on our new journey. Shawn brought forward a logical and seemingly simple path for us to succeed. I am looking forward to this new exploration." "I have been following ProAct for several years. Ever since I heard Shawn Galloway speak during a webinar, I remember thinking, 'This guy really gets it.' Shawn has a common sense approach to safety where common sense isn't always so common. The ProAct Safety books, articles and podcasts are great resources that I utilize time and time again. I hired Shawn to give a keynote address and workshop for our U.S. Operations Manager's Conference. It was truly a great event with so much positive feedback and deliverables that called our managers to action. Thank you Shawn!" "Shawn and his company have long been a voice of reasoned best methods in safety management. (I also greatly appreciated their support of our Management Practice Specialty at ASSE.) His counsel has always been spot on and readily useful within the safety realm. Thank you!" "I'd like to take a minute to thank Shawn Galloway for delivering our Keynote Address to over 300 field contractors/workers and underground operators in Oklahoma and some folks from surrounding states. I heard a lot of positive feedback from those in attendance and his message really struck home for many of them. We appreciate Shawn coming and sharing his industry expertise. I know people walked away with new ideas and information they can take back to their companies and put into action. I would recommend Shawn for other companies seeking an expert in safety... Shawn really helps you see things from a new and innovative perspective." "The conference was one of our best yet! Thank you for being our keynote. Your talk resonated well with the audience and the feedback was great!" "Shawn is very detailed-oriented and produced great result for our company during his mission in Azerbaijan. His superb speech and presentations at Safety Leadership Conference brought it to success. I certainly would recommend Shawn Galloway for any audience willing to listen, learn and bring back to their companies valuable ideas." At this point in our safety evolution Shawn's message was on right on target with what we needed. The presentation was excellent, participants engaged with participant scores and comments all in the upper range. My expectations were met by his presentation and several of the points he made initiated several conversations during the conference. "Shawn Galloway delivered a keynote address on Creating and Sustaining Safety Culture Excellence® at Business & Legal Resources' Safety Summit... Many safety managers lauded Shawn's presentation style and content. They noted that he touched on many relevant insights into defining and achieving safety excellence that can serve as clear direction for launching a culture of excellence." "Awesome presentation. New information for me and I've been in this field for 30 years. Excellent speaker. Great topic. Must have at every conference. Great speaker/presenter and good topic. One of the best ones I have attended .... He had me wanting to research and look for more info on topic because it was presented so well. One of the best last day sessions. Hope to see him at future events. This is the best session I attended. Great topic and outstanding presentation skills!" "Shawn's presentation was excellent, he found a way to engage everyone in our organization: from senior management to front-line worker. His presentation helped people to find their personal safety attitude in the performance of their jobs. This session helps our employee's step-up and become leaders in their own lives and to buy-in to safety for themselves. I would recommend Shawn to all organizations that strive for excellence!" "We recently invited Shawn Galloway to speak at our leadership development training. Shawn's approach impressed me from the beginning. Instead of just rolling out a canned leadership presentation, Shawn asked us a lot of questions during our first phone conversation that were geared towards finding out what we wanted to accomplish by having him speak to our group. Shawn tailored his message to address our needs and our specific goals. Shawn's presentation was spot on and the group discussions that Shawn facilitated afterwards really got our team thinking of improvement strategies. Shawn's presentation and interaction with our team exceeded my expectations." "I am pleased to highly recommend Shawn Galloway of ProAct Safety, for professional speaking and training engagements related to health and safety management. Shawn provided both a keynote address, as well as a half-day workshop on safety culture excellence for our internal Company safety conference this year. Feedback from the sessions has been fantastic. In fact, Shawn's sessions were the highlight of the event, according to the participants. Mr. Galloway's messages are delivered with a perfect mix of practical, easy to understand concepts, combined with excellent academic and thought provoking content. Having had the opportunity to see Shawn speak at other events, my expectations were very high when I engaged him for this event. Shawn was able to deliver a perfectly tailored presentation which exceeded my (high) expectations, especially in terms of audience response & feedback. Since our conference I have had several requests from participants to review or discuss implementation of concepts from Mr. Galloway's presentations, and requests to have Shawn participate in future events. Both of these are strong indicators of the success and value Shawn brought to our event. I would highly recommend Shawn Galloway for companies who are looking for ways to drive performance and achieve excellence in health & safety management." "I have had the opportunity to hear Shawn speak on several subjects including; leadership and culture. His simplistic approach provides valuable insight on situations that are too often difficult to grasp. He also allows his audience to engage in meaningful and constructive Q & A which provides others the opportunity to question their approach and learn new methods. I would recommend Shawn for your next conference." "Another compelling perspective driving change how we do things in safety management." "Definitely polished speaker and presentation. Directly spoke to my needs." "This speaker was dead-on with this presentation." "This was the best concurrent presentation that I attended at Safety 2013." "Excellent summary models to use in explaining this to my management team and very logical presentation." "Excellent subject with some key, actionable takeaways provided on what to measure to understand a team's safety behaviors." "Very knowledgeable excellent examples and take aways. Wish he did more talks or longer sessions. Outstanding session." "I attended Shawn Galloway's presentation on "Zero Incident Goals create Risk-Taking Culture" at the 2013 ASSE professional development conference this year. In my opinion it was the best seminar of the entire conference, I have some excellent take-away I'm planning on using in my region... Thank you again for sharing your safety concepts and strategies, I'll be subscripting to your podcasts." 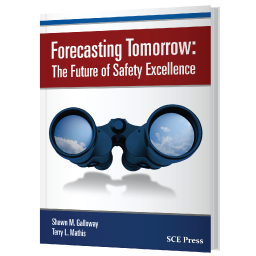 "Galloway's presentations provided excellent insight on safety leadership. His presentation of the various models for leadership were useful, but his depth of understanding and examples were particularly valid. In the Q&A session, he provided excellent guidance on how one achieves cultural excellence, which is particularly difficult in this age of transformation." "We hired Shawn as our opening keynote speaker for our safety conference. Shawn delivered an excellent presentation. He demonstrated depth of knowledge on the topic of safety and developing a safety culture within and outside of the workplace. He was energetic, engaging and inspiring. He was able to connect with his audience of more than 550 individuals with diverse experiences and hold their attention. His ideas and perspectives ensured take-aways for all! Shawn set the tone for a great conference. I would highly recommend Shawn for an engaging keynote address!" "First of all, I'd like to thank you for coming to SafetFest last week. The thought of sitting through 8 hours of the same speaker didn't thrill me, but you did a terrific job. I enjoyed your presentation and got a tremendous amount of material and knowledge from it. I just finished entering the 12 pages of notes I took into my computer..."
"I am writing to express the Northern Occupational Safety and Health Association (NOSHA) sincere appreciation for being a part of our annual fall 2012 safety conference in Grand Forks, North Dakota at the Ramada Inn. Your keynote address "Safety Culture Excellence 101" and the Behavioral-Based Safety 101 breakout session were well received by the safety professionals in the audience. Many of the safety professionals I visited with said that 'Shawn created a spark in our minds that we need to implement more than the traditional safety methods to create an excellent safety culture'. Your dynamic delivery kept everyone alert, and involved. Again, thank you for your participation and energy in making the day a big success. You definitely exceeded our expectations! We definitely recommend your services to all companies and associations wanting to promote a positive change in their safety culture and management." "Excellent Speaker - instilled hope in me to make a change back @ my company and gave me tools to start." "The topic was great!! The speaker is very knowledgeable and has a great approach to reducing injuries." "Shawn was a very easy to listen to. Great information and real life examples that he used in his presentation." "Brought new ideas to think about - a lot of information to take back to the workplace." "Excellent presenter with good information - loved the examples of actual assessments." "Numerous safety tips - Big picture thinking - practical applications - excellent Personnel/HR advice - great leadership training - mentioned lots of resources - simulated creative thinking - [shared] positive attitudes - confirmed good preventative like documentation and action planning - highlighted importance of good communication tools." "I would like to take this opportunity to thank you on behalf of my company for the wonderful presentation you gave to us today. The presentation you gave was excellent. I learned a great deal and plan to follow your suggestions. The material you distributed will be most helpful, and I look forward to sharing it with several friends and coworkers who were unable to attend. Thank you again for such an informative and pleasant program." Hussam Al-Kayali Ph.D., Operations Manager, Young Mfg. Inc.
"I attended your seminar in Grand Forks on Tuesday, October 2, 2012 and was very intrigued, I have been in HR/Safety for nearly 15 years now and this was by far the best safety seminar I have ever attended, thank you! ...thank you so much for the wealth of information you provided, but mostly for the motivation you sparked in me to try yet again to make some safety changes at my organization." "Shawn provided one of the best sessions this year. He was extremely knowledgeable and provided a very good session on how we can create an excellent safety culture. He had excellent analogies and graphics. Very good. I will definitely signed up to go to other sessions that Shawn provides." "Mr. Galloway packed so much detail into this 1 hour presentation that there was no room left for questions (but he subsequently did by e-mail). This was the best session I attended this PDC." "Congratulations, you made quite the impression at the Summit with your two presentations. It was time well spent, professional and most informative." "I thought your presentations were excellent out of all the classes I took last week I got the most out of yours!" "We were privileged to have Shawn speak for us at the 2011 EHS Conference sponsored by the ACIT. While competing for attendance against simultaneous presentations, Shawn's session was heavily attended... and they were not disappointed. Shawn is an engaging speaker who is passionate and knowledgeable. He inspires and challenges his audience to approach safety with a fresh perspective. We hope he joins us in future years!" "Thank you for leading today's Congress 2.0 Webinar: 'Create a Sustainable Safety Culture.' The program was outstanding, providing our attendees with a great deal of actionable and thought-provoking content. In fact, we've already received several positive comments from attendees, who have praised the quality of the presentation. I, along with my NSC colleagues, greatly appreciate the time and energy you devoted to this presentation-and we look forward to collaborating with you on future NSC training programs." "Best speaker to date of conference. Great topic and presentation, do not grade excellent on all aspects but Shawn is a exception." Best speaker so far! Great job Shawn! Relevant to any & all SHE professionals." "I am writing to express our sincere appreciation for being part of our annual ASSE Suncoast Chapter Professional Development Conference at the Crowne Plaza Hotel. Your keynote address "Building and Sustaining a Safety Culture" was well received and it kept all that attended glued to your every word, and they all seem to agree that it was one of the best ever! Receiving a standing ovation from this seasoned group of safety professionals is quite a compliment. Your presentation supported our conference theme centered on Behavior-Based Safety and was engaging, entertaining, motivational and balanced with good substance for take-away utilization. Your dynamic delivery kept everyone alert, and involved. Again, thank you for your participation and energy in making the day a big success. You definitely exceeded our expectations! We look forward to working with you in the future." "Amazing!! Delivery was spot on. He is "Zig Ziglar Jr.". Will do great things for any company looking to improve." Richard Tomlin, HSE Compliance Coordinator, Rowan Companies, Inc.